Half Blood 圣诞节. 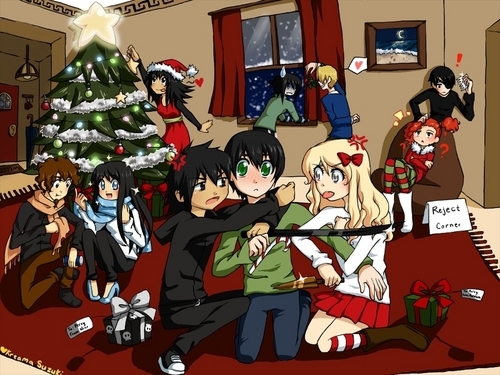 Bianca is decarating the tree, Thaila & Luke are 由 the window, Rachel & Ethan are in the reject corner, Nico & Annabeth are fighting over what present Percy is going to open first, Slena is loving her new scarf while Grover is wanting to eat it. HD Wallpaper and background images in the Percy Jackson Series club tagged: percy annabeth. NYAYAHAHAHAHAHA!!!!! awesome!!!! rachel is at the reject corner!!!! oh my gods! thats so cool! merry christmas percy and friends! I LOVE HOW NICO IS HOLDING OUT HIS FIST LIKE "You want some Prissy." and Annabeth's Like "OH DON'T YOU GO THERE, BOY!" 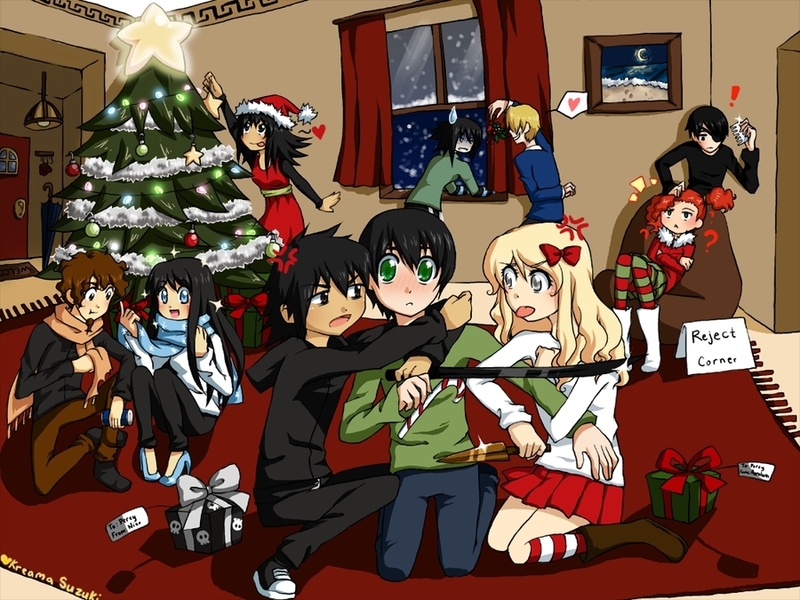 Nico: I'm gonna punch your lights out Annabeth, PICK MINE PERCY! Selena: OMG!!!!!!!! I WANTED THIS SCARF FOR LIKE EVER! Luke: We are under the mistletoe. Rachel: What are you doing here creep?!?!??! Percy: Um, Nico, no violence on Christmas, and I don't know who's to pick to open first. I know it's been over a year since anyone last commented, but... WHY THE HECK DOES LUKE LOOK LIKE SANJI FROM ONE PIECE! ?